Posted on Thursday, December 10th, 2015 at 3:41 pm. 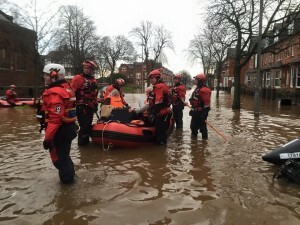 SLSGB declared 2 Type B boat teams to assist in the rescues during the Cumbria Floods. 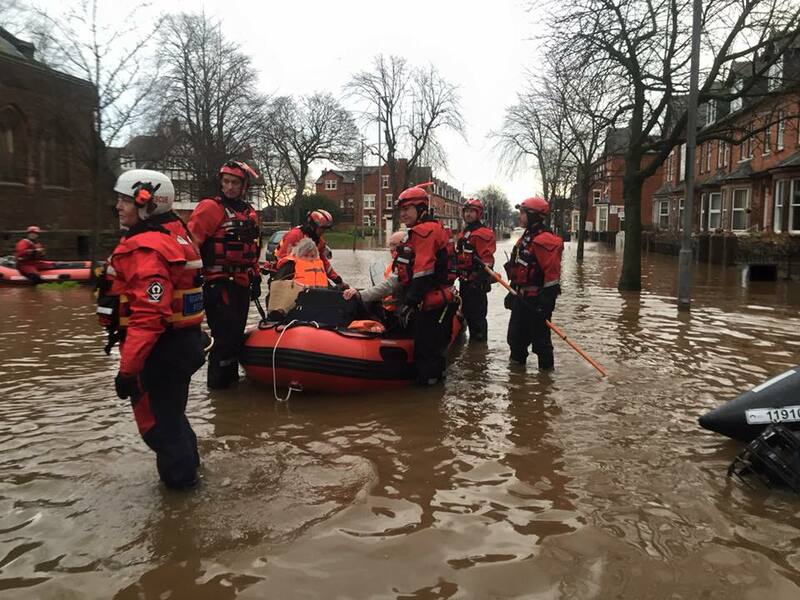 The team joined 20 other boat teams in one of the biggest floods ever faced in Cumbria. 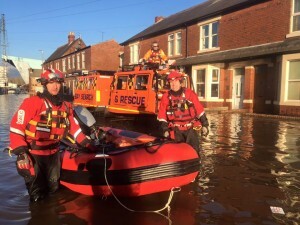 The amount of rainfall broke met office recorded for a 24hr period – 341mm. The Team Managers were Sam Bailey with a mix team from Wessex and Cornwall area and Adrian Mayhew with the team mixed up of South Worcester and York. Both teams completed a combined total of nearly 200 assisted rescues. 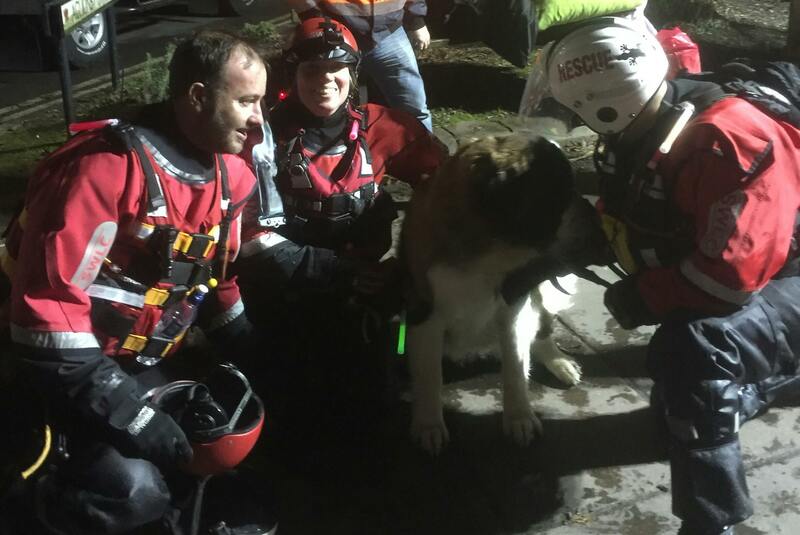 Some incidents that were important was rescue a young girl who had become diabetic, rescuing people from a care home and finally rescuing a 2 year old St Bernard called Bailey. Teams are now on standby for the weekend.